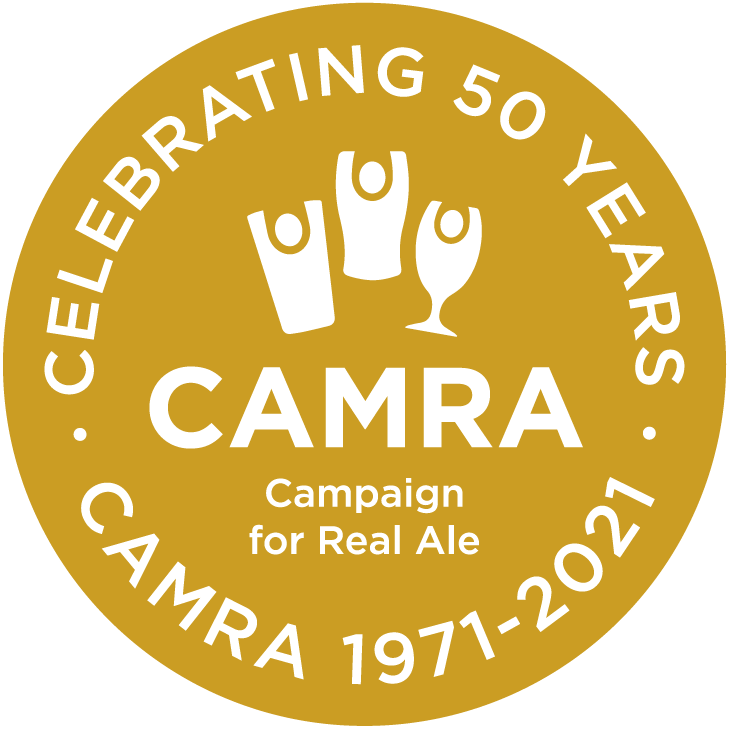 The Campaign for Real Ale (CAMRA) is a 185,000 strong consumer organisation which fight for the rights of real ale drinkers in particular and all members of the pub going community in general. Get into beer festivals for free or at reduced prices. Lots of special offers such as brewery loyalty schemes. Join now by direct debit and get 15 months for the price of 12. Want to know more. Mild is an endangered species! Until 2015 the Manchester region could boast the enviable position of having all four local family brewers producing at least one mild. That is until Robinson's decided to terminate all production of mild. Thankfully Hydes still brews mild and has agreed to sponsor Mild Magic for 2019. Holt and J W Lees also still brew milds and both are featured on Mild Magic. Or should that be Stop Drinking? Font at 7-9 New Wakefield Street, Manchester M1 5NP in Manchester West area is NOT taking part. Please don't try and get a sticker here as (1) It will probably be refused (2) It won't be valid if attached to your card. Sorry, these things do happen and was a result of mis-communication within their management. Reasons To Be Cheerful (228 Fog Lane, Burnage M20 6EL) are very sorry but they had 16 April in their mind as the start of Mild Magic. So no mild this week but hopefully early next week. There message was very apologetic. What does Mild Magic entail? This CAMRA National award winning event is at heart a simple passport trail. With 87 pubs partaking in the 2019 event, we don't ask you to do ALL of them. "But what do we have to do?" I hear you saying. The Mild Challenge can be completed on any one of four levels. To complete Mild Magic, you need to visit 12 different pubs which must also be located in 12 different areas, eg Stockport, Cheadle, Didsbury and et cetera. Do plan your visits carefully to ensure 12 areas are visited. Achieving this entitles you to either entry into Stockport's Beer and Cider Festival, or one free pint of mild there if you are already a CAMRA member. In addition to the tickets you will also receive a Mild Magic t-shirt emblazoned with the Mild Magic logo. Upping the achievement to complete Mild Magic Extra requires 24 pubs in a total of 24 different areas to be visited, i.e. twice as challenging as Mild Magic. This increases your number of entry tickets/pints to two and the shirt is elevated to a polo shirt, again emblazoned with the Mild Magic logo. This is the most popular target, achieved by around 50 people each year. Now the stakes get higher - Mild Magic Super - this is a even more challenging. Visit a total of 48 different pubs but they only need to be drawn from 36 different areas (but there is nothing stopping you setting a personal target of 48 areas!) For this you will receive a Mild Magic sweat shirt and 4 entry tickets to the Festival (or 4 free pints of mild for CAMRA Members). We hope that this will encourage you to visit pubs new to yourself. The ultimate challenge is Mild Magic Ultra. To achieve this you need to collect a sticker from all participating pubs. For this you will receive two Mild Magic shirts, both a polo shirt and a sweatshirt plus 6 Festival entry tickets (or 6 pints of mild for CAMRA Members). No matter which of the above you undertake, here is a fun extra challenge, Mild Magic Scrabble. Each participating pub has an associated letter (see table below) randomly selected from A, C, D, G, I, L or M. The challenge is to collect enough stickers on a card to spell out MILD MAGIC (doesn't have to be in sequence but does have to be on the same card) and you will be rewarded with an extra pint at Stockport Beer & Cider Festival (up to a maximum of 2 extra pints). This applies to everyone irrespective of whether you are a CAMRA member or not. If you decide to participat in this extra challenge, can you please help the organiser by indicating the relevant stickers on your card. Everyone who participates will also be invited to join us on a visit to Outstanding Brewery (date to be confirmed). Having complete Mild Magic your card(s) need to be with the organisers to arrive by the 22nd of May, 2019 (only one entry per person). To ensure you receive your tickets and beer vouchers do remember to include a large sized (postcard or A5), stamped and self-addressed, envelope. All garments will be distributed between 6pm and 8:30pm on Sunday 30th June at the Petersgate Tap, 19a St Petersgate, Stockport SK1 1EB (or as otherwise agreed with the organiser). All garments are graced by a bespoke version of the Mild Magic insignia. For full details about an establishment, especially the opening times of those with restricted hours, click on the pub name and be directed to WhatPub.com which is CAMRA's database of (almost) all British drinking locations. View Mild Magic Map in a new window. Stockport now has around six breweries (new ones keep opening so it may be more) and a thriving pub scene. Not only is there an increasing number of free houses with guest beers, Stockport also has some excellent family-brewer owned community locals and an impressive range of historic and heritage pubs. It's all becoming something of a tourist attraction. 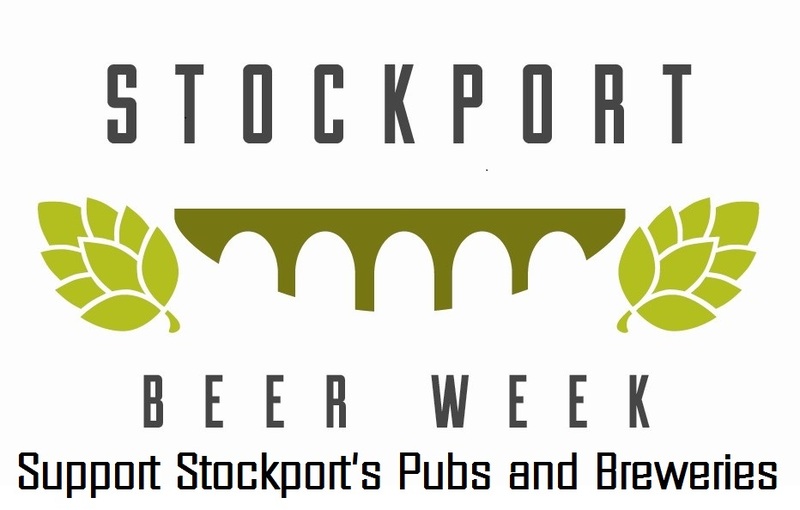 Stockport & South Manchester CAMRA thinks all this is worth celebrating and will be launching Stockport Beer Week in the autumn. This is will at the same time as national Cask Ale Week and will run from 19 September to 29 September. It is intended to be a celebration of Stockport pubs and breweries, and those people we have spoken to so far have been very enthusiastic. While we are still in the early planning stage we are looking to see in-pub beer festivals featuring local beers, brewery visits, brewery tap days, meet the brewer events, historic pub tours and all manner of celebrations. Pubs might want to create special menus or feature local bands for example. The main focus is expected to be the town centre, although events at pubs outside this area will be welcomed and encouraged. We won't be expecting pubs to do something for the whole of the ten days but during this period we'd hope that many local pubs will run one or two events to mark the occasion. A right fine bash to finish off May! Annually at the end of May or beginning of June. The start is always the first Thursday after the Late May Bank Holiday. It is now the largest local CAMRA festival in Greater Manchester and one of the top five in the North of England. What does the Festival offer? First and foremost a wide selection of fine cask ales sourced from around Britain. We try to keep at least two examples of all endangered beer styles eg mild, stout and etcetera available for drinking at all times so there should be something to tickle your fancy. Secondly (but this does not mean second class) an overwhelming range of ciders and perrys. This year we had in excess of 50 varieties available, ranging from pleasantly sweet to astonishingly dry. Who says Magners is the pinnacle of cider, and as for cidré, don't get us going. Cider makers are starting to spring up all over the British Isles, even "up eer int' North" so why not come along and try a Chesher or Lancashire example? Is it just about drinking? No! We can also sell you a souvenir t-shirt, a variety of books or you could even join CAMRA and get complimentary free beer on us. Why not have a go on our tombola, plenty of beery prizes to be won. Our charity also bring along a complementary selection of goods. So it's all about buying? If all this sounds too much why not just sit out on the terraces (we are in Stockport County's ground so there are plenty of seats to go around) and watch the world go by or the grass grow! If you are a plane spotter we are excellently placed to watch aircraft incoming to Manchester Airport. Who runs this worthy event? Primarily members of the Stockport and South Manchester Branch of CAMRA together with assistance from the High Peak, Trafford & Hulme and other nearby branches. New members of staff are always very welcome, for more information contact Pete Farrand at staffing@stockportfestival.org.uk.